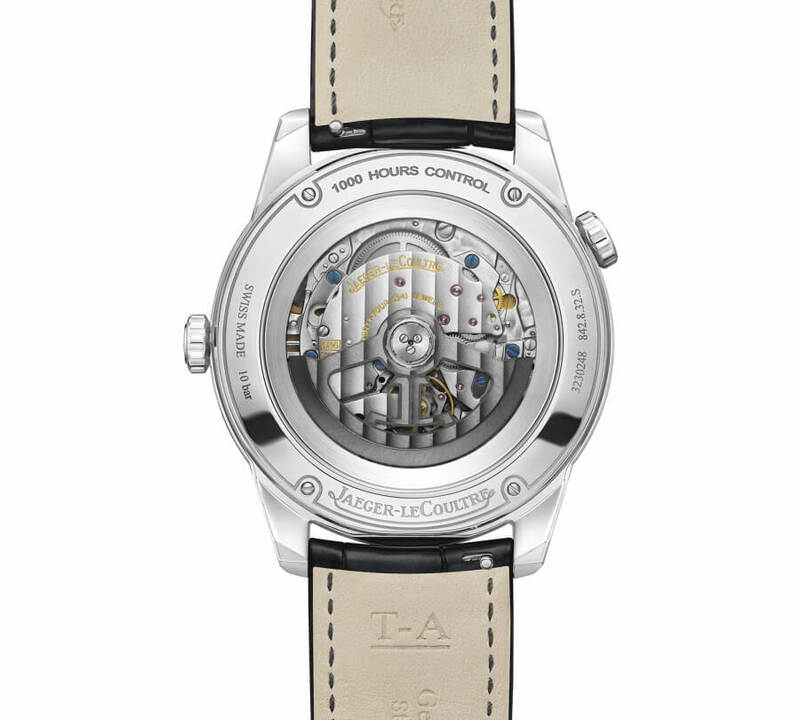 Just a few months after the launch of the Jaeger-LeCoultre Polaris collection at the Salon International de la Haute Horlogerie in Geneva, a new model has already joined the line: the Polaris Geographic WT watch, a 250-piece limited edition, exclusively available at Jaeger-LeCoultre boutiques. 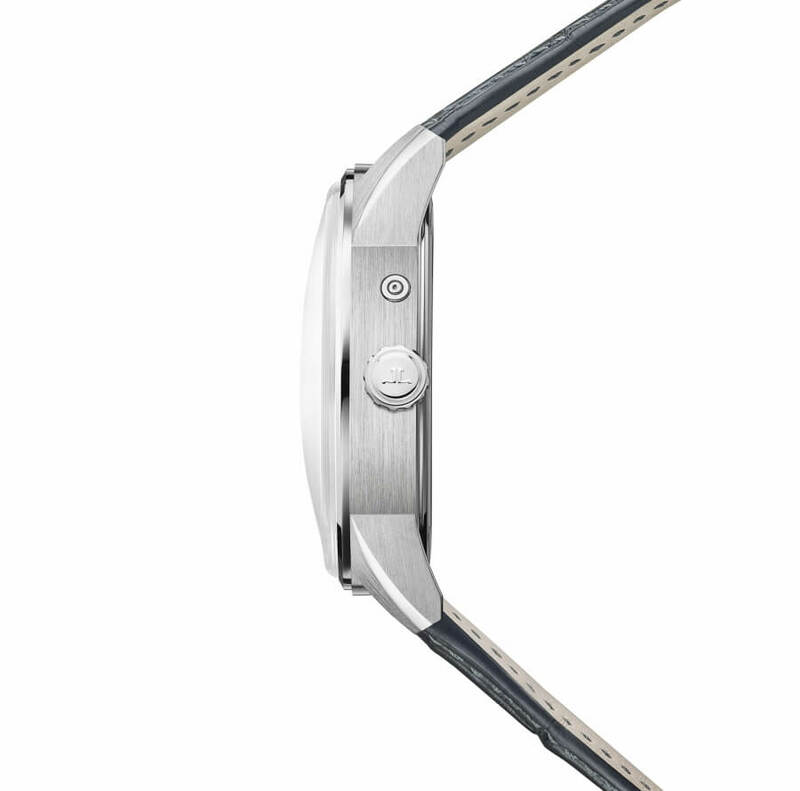 The design is inspired by the 1968 Memovox Polaris watch, one of the Grande Maison's iconic models. While its entirely redesigned curves give it an air of sporty elegance for a daily wear and cosmopolitan outlook, its bold, adventurous spirit remains unchanged. The 42 mm case houses the Calibre 936A/1, a mechanical self-winding Jaeger-LeCoultre calibre bringing a new feature to the collection: the geographic function, ideal for both travellers and men of action. The dial’s design highlights the alliance of the two Jaeger-LeCoultre Polaris colours: a blue subtly turning to black – a true signature for this collection. The smoky blue dial gives the Polaris Geographic WT watch the impression of great depth. 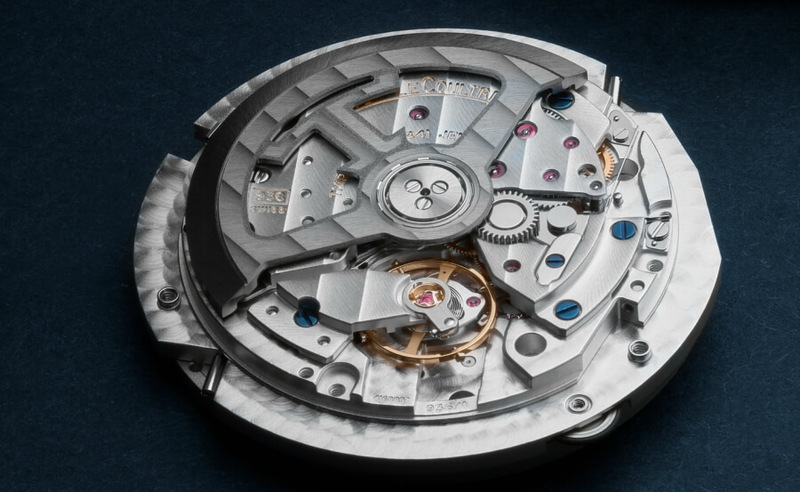 It is decorated with three finishing: an opaline base for the city disk, a sunrayed sub-dial housing the calendar at 2 o'clock, the second time zone at 6 o'clock and the power reserve at 10 o'clock, and finally, a grained finishing for the case back. The day/night disk, clearly divided into two black and white sections, is instantly recognisable and indicates whether it is day light or night in the local city – and therefore in the second time zone of choice. One slight, yet eye-catching detail on the disk is the small sun indicating the daytime hours – black numerals on a white background – and the little crescent moon for the night hours – white numerals on a black background. The new Jaeger-LeCoultre Polaris line is inspired by one of the Grande Maison's emblematic models: the 1968 Memovox Polaris watch, instantly recognisable by its three crowns. Suggested by the American market, the name Polaris echoed the bold and adventurous spirit of the 1960s. Synonymous with freedom and avant-garde, Polaris also heralds a revolution: a diving watch, fitted with an alarm function, featuring a patented triple case-back to amplify its sound underwater. Back in the days, this spirit was summarised with a slogan: "For the man of action". 1,714 Memovox Polaris II pieces were produced between 1965 and 1968. 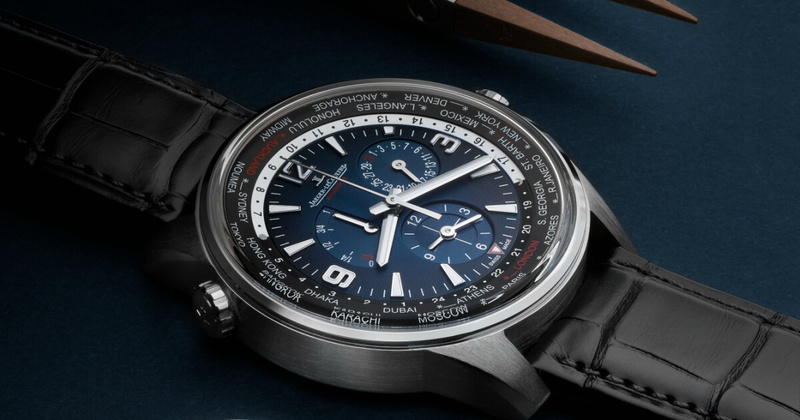 The 2018 Jaeger-LeCoultre Polaris model has been entirely redesigned: the horns are shorter and the bezel is slimmer, giving the watch a more contemporary look while offering a clear readability. The polished and brushed finishing enhance the line's sporty spirit, and the Plexiglas was replaced by sapphire crystal. 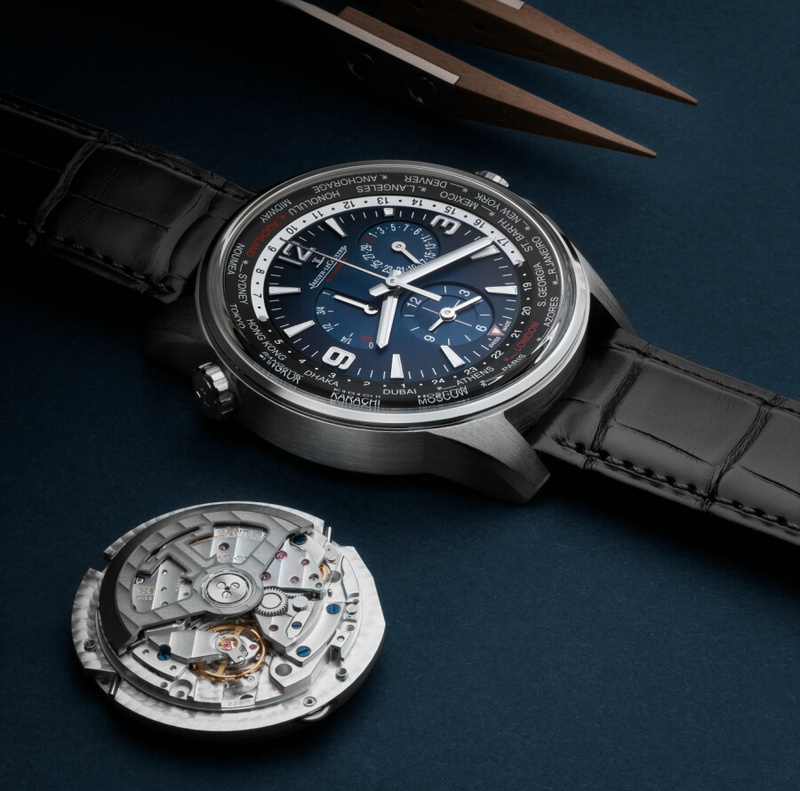 The new Polaris Geographic WT watch completes the Jaeger-LeCoultre Polaris collection that was successfully launched in January, at the SIHH, in Geneva. 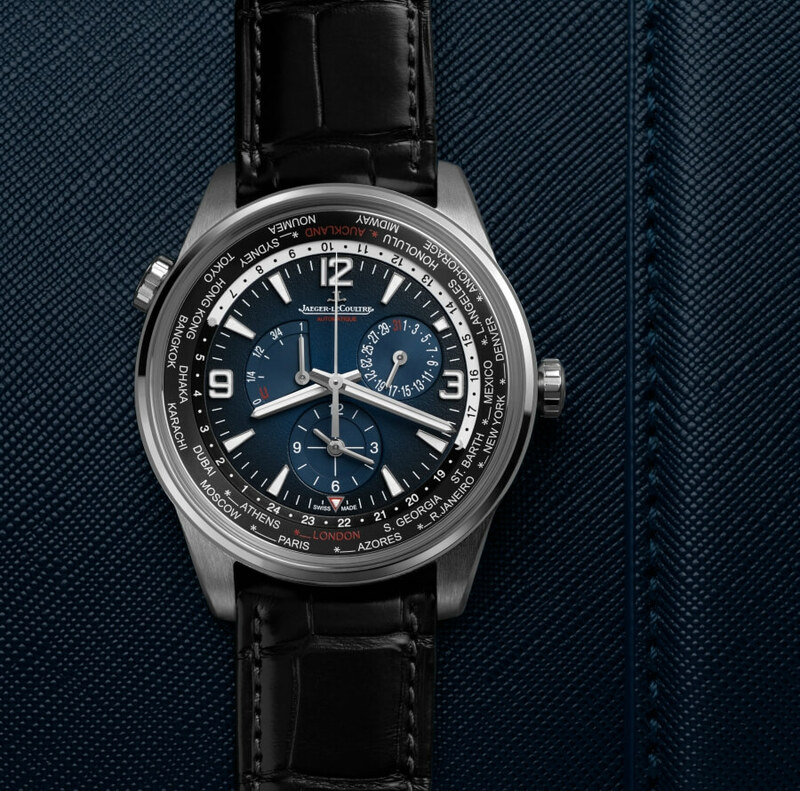 This model is issued as a series of 250 pieces and it will exclusively be available at the Jaeger-LeCoultre boutiques. 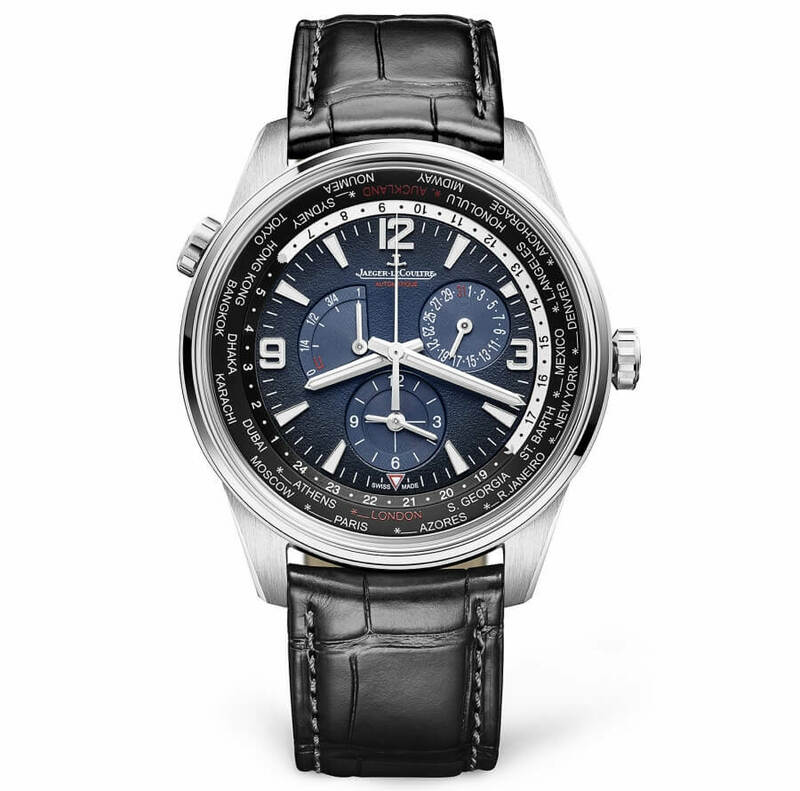 The price for the Jaeger-LeCoultre Polaris Geographic WT is EUR 13,650 and will be available at the Jaeger-LeCoultre Boutiques.